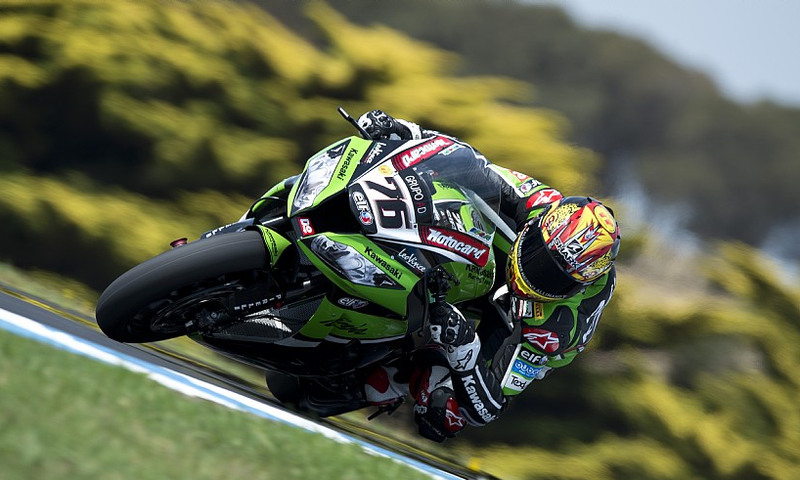 The Factory Kawasaki Team decided to sit out the second day at Philip Island after both Tom Sykes and Loris Baz had fast crashes on Day 1. Sykes fell early on and injured his hand and was taken to hospital for further checks and Baz a little later therefore it was decided to rest the pair ahead of the start of Monday’s official test. The private test at Philip Island has been somewhat of a crash fest due to the new surface not having any rubber laid on it, Crescent Suzuki’s Frenchman Jules Cluzel also sat out the second day due to aggravating an old elbow injury after 2 crashes on Day 1, his Suzuki team mate Camier fell once on both days. Ayrton Badovini also crashed on the second day. Testing continues Monday with the Official SBK test, the first round of World Superbikes kicks off in Philip Island next Friday. Previous Previous post: Moto2 Valencia test: Luthi crashes out, whilst Espargaro and Terol top.